Emily Shamalov is a Junior and is Editor in Chief of The Looking Glass. This is her first year working on the school newspaper, and she is loving it! Emily won a writing contest for Sippur Magazine in 9th grade. She took two years of Graphic Design and is now in the AP Computer Science Principles class. She is a MACS head and an SKA Ambassador. 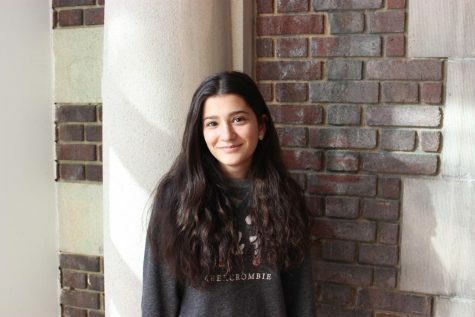 She is also a member of the Debate Team and the Israel Action Committee. Emily loves to contribute to her school.